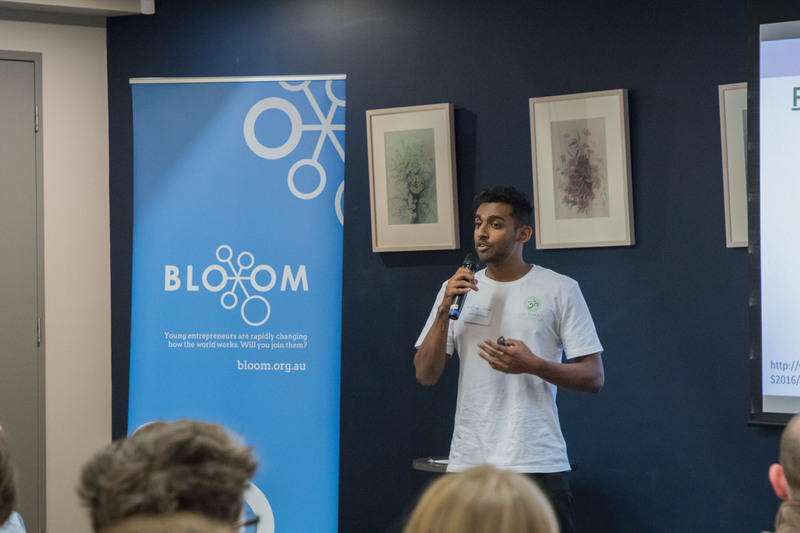 In April, Bloom held its second highly anticipated Pitch Night, where young entrepreneurs came to present their business ideas, non-profits or social enterprises to a panel of industry experts in front of a live audience. We had 4 young social entrepreneurs who had non-profits or social enterprises that looked at tackling a broad range of social issues from inequality in third world countries to helping low-income families in Australia eat healthier. While each presentation generated a lot of interest from the audience, the favourite amongst the crowd and the winning pitch came from Gareth Shanthikumar, the President at the Om Shanti Foundation, an organisation that helps families break the cycle of poverty in northern Sri Lanka. However, this wasn’t the first time he won at Pitch Night. In March, Gareth participated and won an impromptu rapid-fire pitch, where members from the audience had to present any not-for-profit or business idea in 1 minute. After going through two Pitch Nights and winning twice, Gareth shares some insights on the 3 most important lessons he learnt from his entrepreneurial journey. Gareth presenting the Om Shanti Foundation at his second Pitch Night, where he claimed Best Pitch of the Month. From his experience, Gareth’s greatest advice to others who want to follow in his footsteps is to "just do it", because it's never the right time to start. Even though Gareth won over the audience twice at Pitch Night, it wasn’t as easy as it looked behind the scenes. 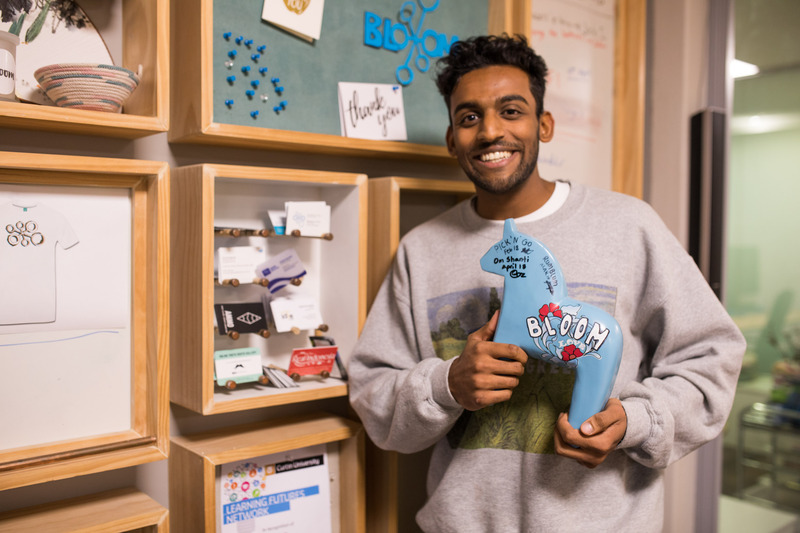 The first time he attended, he was initially hesitant to participate when the host opened the floor for the audience to improvise a 1 minute pitch. He says the reason why he had the courage to go up in front of 100 strangers was thanks to the book he was reading, 'The 5 Second Rule’ by Mel Robins. While entrepreneurship involves doing a lot of things by yourself, sometimes it can be easy to forget that there are other people that can help you speed up the process.  The Om Shanti Foundation is a not-for-profit organisation that helps impoverished families in northern Sri Lanka to rebuild their homes and finances after the civil war devastated the country throughout 1983 up until 2009. With this philosophy, they help families break out of the cycle of poverty through providing families with the resources, skills, and mentoring necessary to establish their own small businesses that are self-sustainable in providing them with a stable source of income. Gareth proudly holding up Bloom's Unicorn trophy which is presented to each Pitch Night winner to sign.